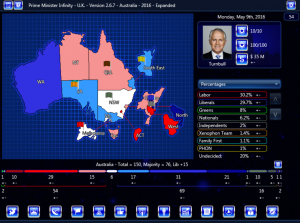 In preparation for a possible addition of the Preference vote for Australia, I’ve decided to port over some of the old Australia scenario’s from the earlier PMI, PM4E versions. 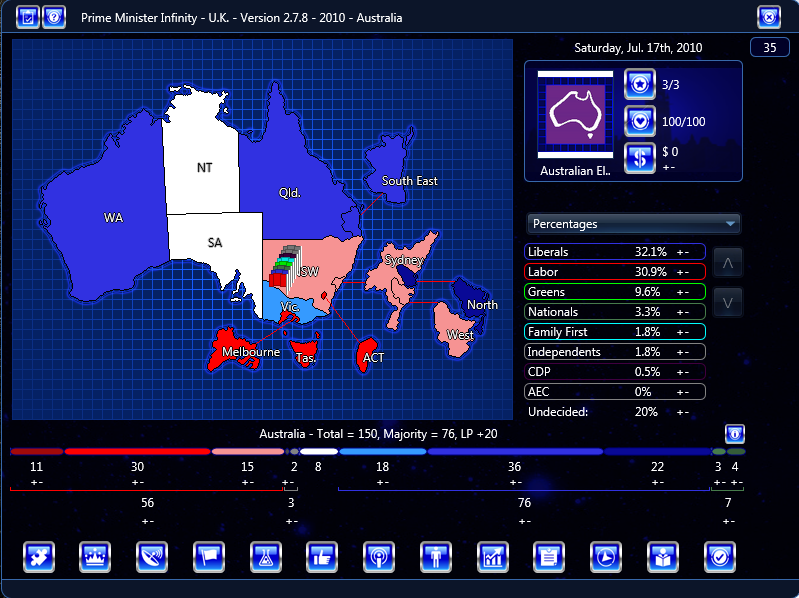 I am porting the 2010 – Australia House of Representatives. 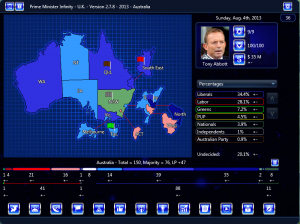 This will be updated should the preferences system be finalized to take into account the new feature. 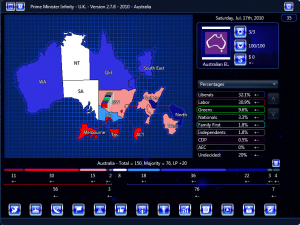 I have updated the 2013 election file also to include a logo for the AEC. 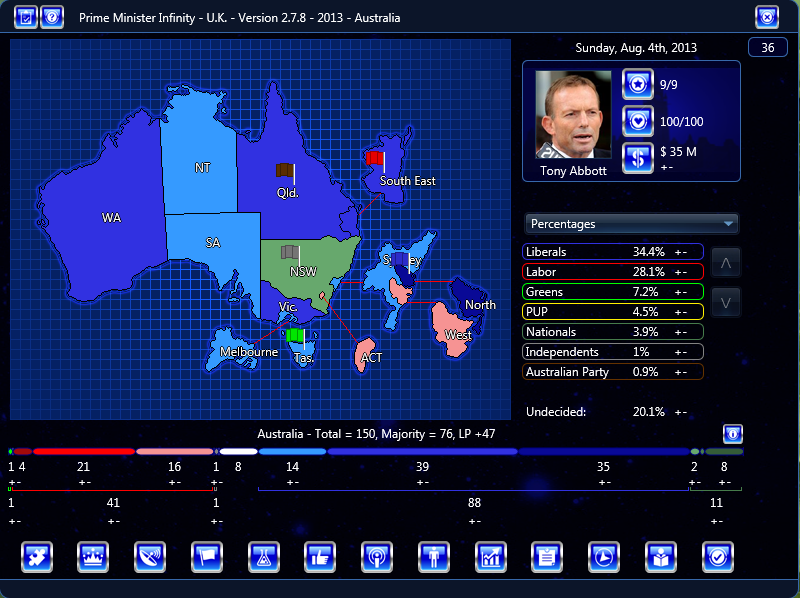 I start with the 2013 – Australia House of Representatives. 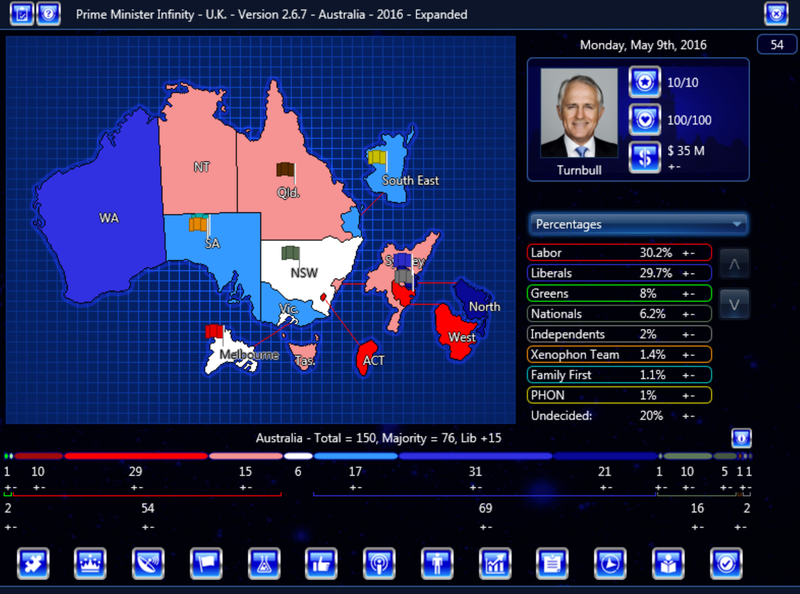 I added a few more parties to the Australia 2016 scenario (Family First, One Nation). I probably will add some more sometime.